The PASC17 Conference is pleased to inform you that the online submissions portal is now open and ready to receive proposals for papers, minisymposia and posters. 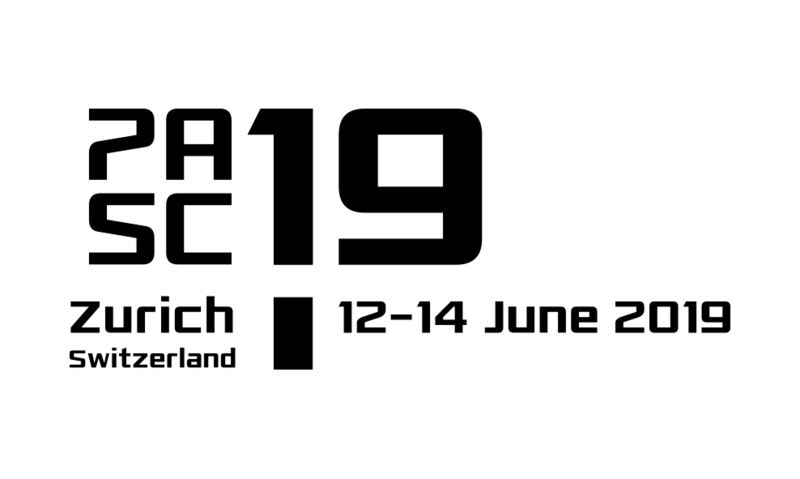 The PASC17 Conference, co-sponsored by the Association for Computing Machinery (ACM), will be held from June 26 to 28, 2017, at the Palazzo dei Congressi in Lugano, Switzerland. The PASC Conference is an interdisciplinary event in high-performance computing that brings together domain science, applied mathematics and computer science – where computer science is focused on enabling the realization of scientific computation. The PASC17 Conference invites participants from academia, research laboratories and industry to discuss the state-of-the-art in computational science in the context of high-performance computing. Researchers from academia and industry are encouraged to participate and present their research in the form of papers, minisymposia and posters. The PASC17 papers program is soliciting high-quality contributions of original research relating to high-performance computing in the eight domain-specific tracks mentioned above. We invite submissions of 5 and 10 pages in length using the PASC17 online submissions system. Papers will be reviewed double blind. Full submission guidelines can be found here. Accepted manuscripts will be published in the ACM Digital Library on the first day of the conference. Authors will be given 30-minute presentation slots at the conference, grouped in topically focused, parallel sessions. Following the conference, authors will have the opportunity to develop their papers for publication in a relevant, computationally focused, domain-specific journal. Authors thus stand to benefit from the rapid and broad dissemination of results afforded by the conference venue and associated proceedings, and, from the impact associated with publication in a high-quality scientific journal. Please refer to PASC17 website for further details. A flyer advertising the call for papers can be downloaded and forwarded to colleagues and collaborators who might be interested in submitting their research to PASC17. A minisymposium at PASC17 is a two-hour session of four presentations on a single topic of current importance that brings together domain science, applied mathematics, and computer science and software engineering in the context of high-performance computing. The session should include speakers from more than one country, and be designed such that the speakers bring a range of different perspectives and views to the topic. Organizers are strongly encouraged to include women and/or members of other underrepresented groups in their proposals. Posters are an essential element of PASC17 as they provide the ideal opportunity for exchange of ideas and expertise within and between the various scientific disciplines represented at the conference. Presenters will be given the possibility to “pitch” their posters to the conference audience in a rapid-fire flash session held before the scheduled poster session.